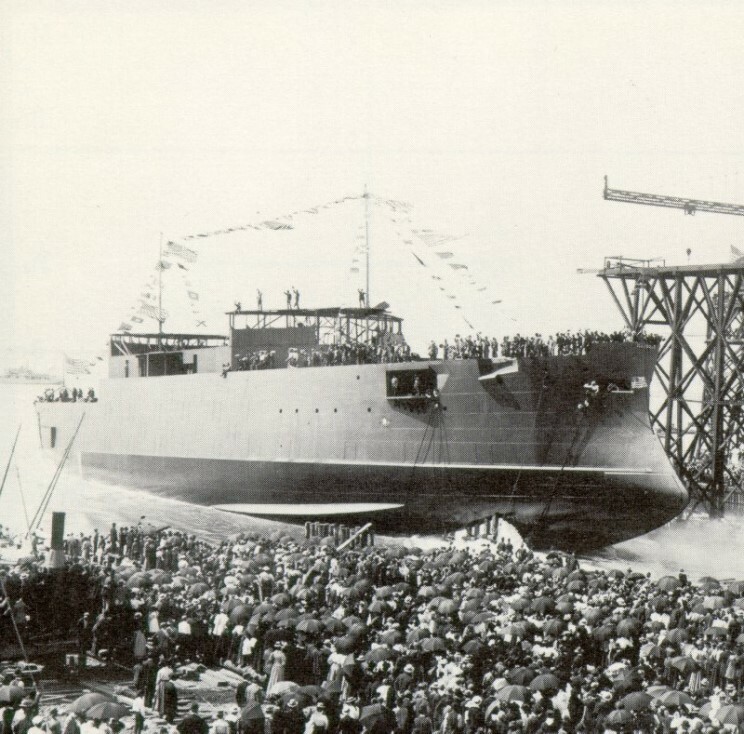 October 4, 1898: Launch of the Illinois at Newport News Shipbuilding. 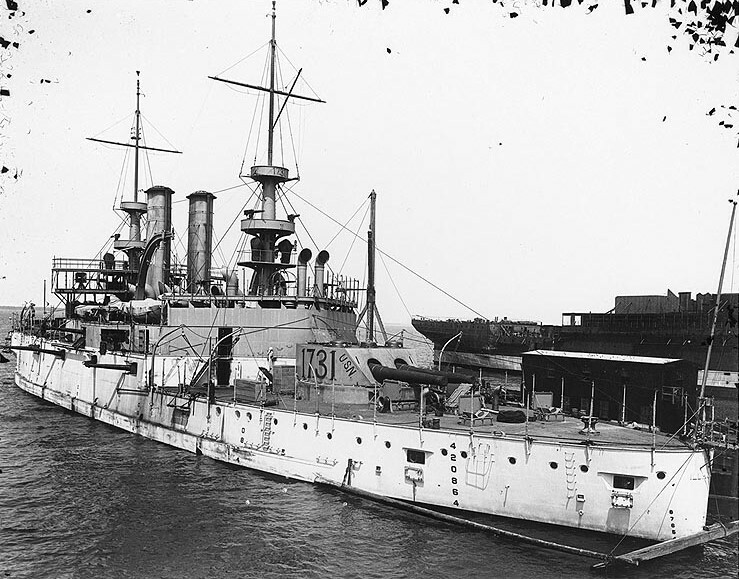 Illinois at Newport News Shipbuilding in 1901. 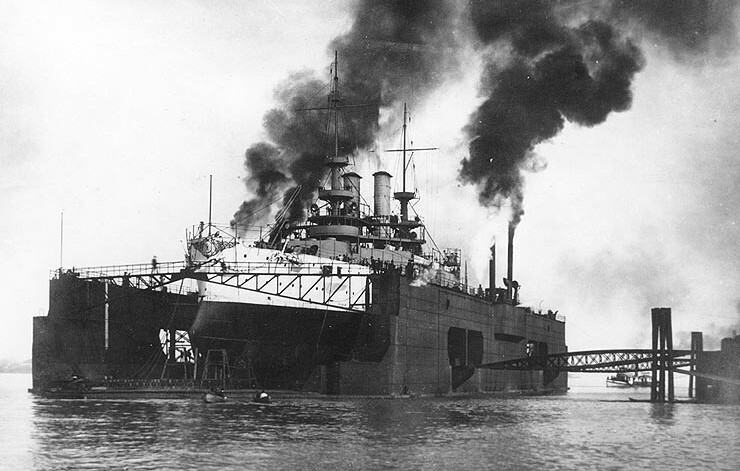 January 6, 1902: USS Illinois in a floating drydock at New Orleans, Louisiana. 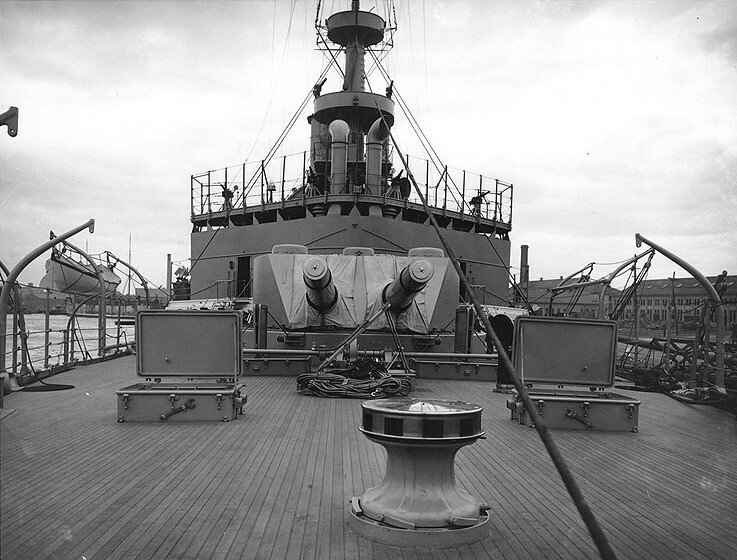 The 13"/35 aft turret of the USS Illinois. 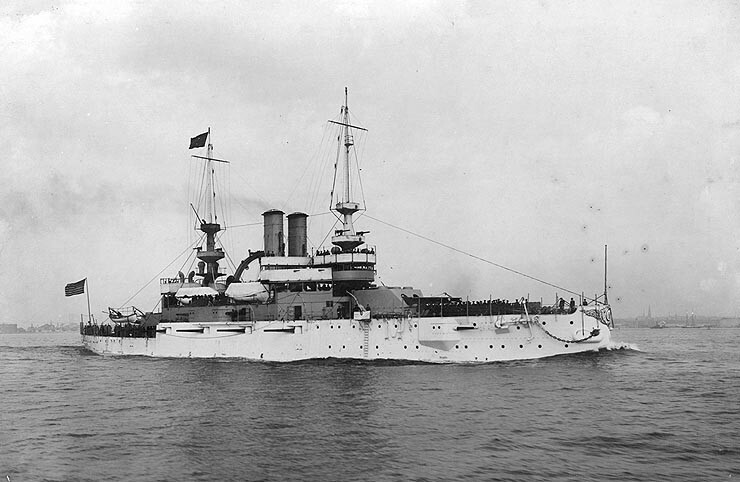 USS Illinois seen in the early 1900's.